My husband and I were both raised around water and we wanted something that would grow with my son. I got lots of inspiration from Pinterest and Project Nursery. My husband found the dresser and changing table online and used chalk paint to redo them. He also made the shelf and added the chair railing. 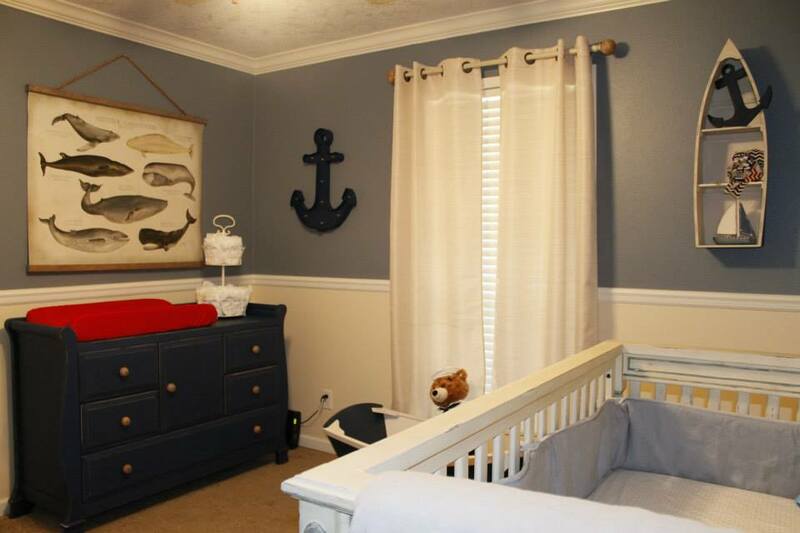 We got the bedding, crib and Artwork from Restoration Hardware. My Dad made the rocking boat and him and my Mom made the sign behind the crib. I am a stay at home Mom with a 14 month old baby boy!